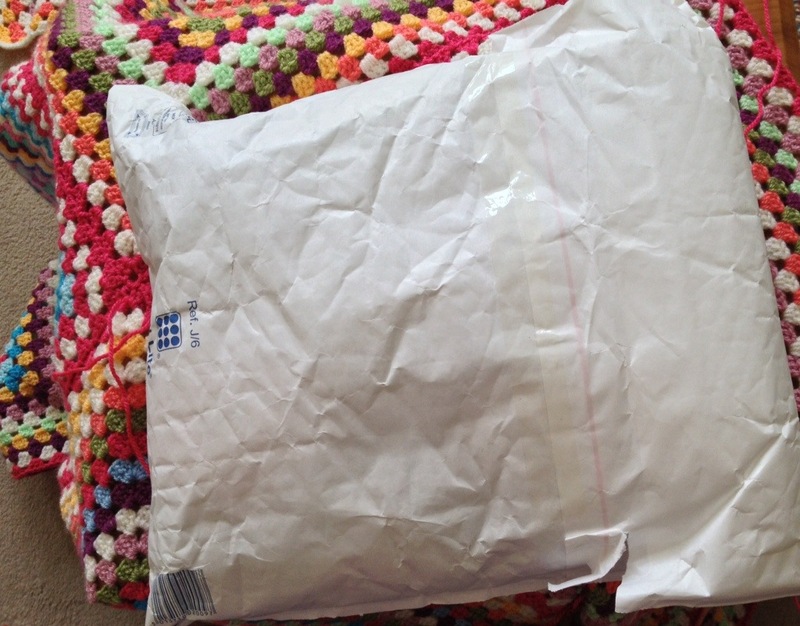 The postman left three parcels today, one was for me and as I haven’t ordered anything lately I was intrigued. Then seeing the enclosed delivery note I remembered seeing a photo of a gorgeous ball of cotton and a very cheeky communication I’d had with DMC Creative World. 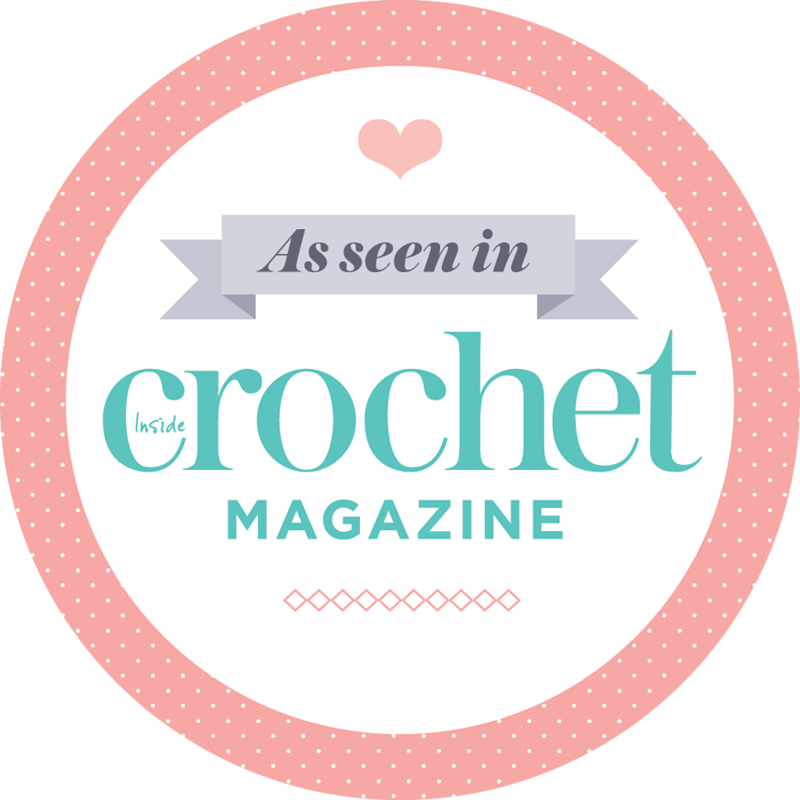 I’d said it looks scrummy, a few crocheters replied that they love using it and so I threw out a ‘You can always send me some to try, and review. Anytime.’ And DMC Creative World have!!!!! How cheeky was I?! 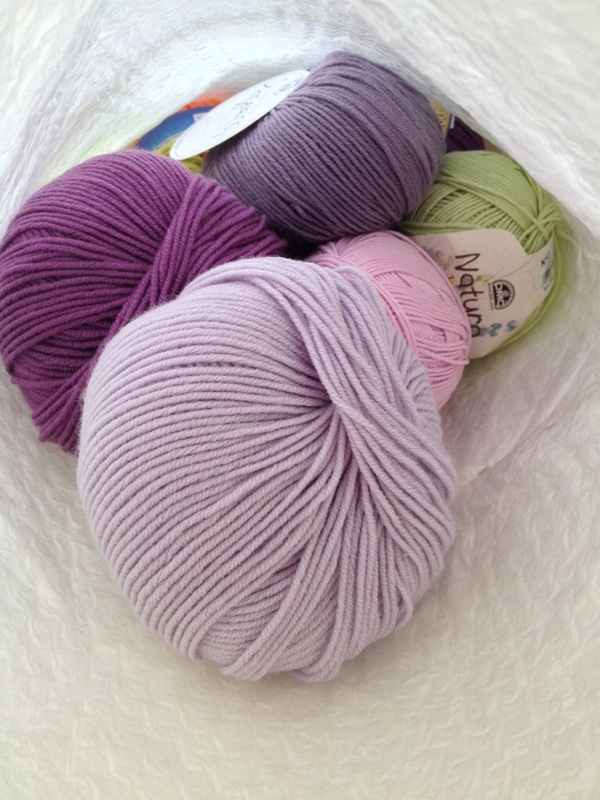 And what a surprise to receive NINE balls of cottons and merino. What shall I make? Shall I look though my vintage patterns and try using one? Shall I see what comes out of my own brain? I need suggestions as my head is happily filled to the brim with the JOY of having finally darned in all the ends of my huge granny squares. I’m now joining-as-you-go like crazy, and loving every minute of it. i’d feel like all my birthdays had come at once! Gorgeous colours…. You don’t get anything if you don’t ask eh? And seeing as you are a published designer now how could they refuse! I have a pin cushion urge coming on but those colours are screaming “flowers” at me. Sooooo jealous – I love the natura so much – there is an acid yellow that I adore. You’re a lucky lady! Those are some fabulous colors. I can’t wait to see what you make of it. Lucky you ! I look forward to seeing what you decide to make with the new yarn. Ooh what a lovely surprise! 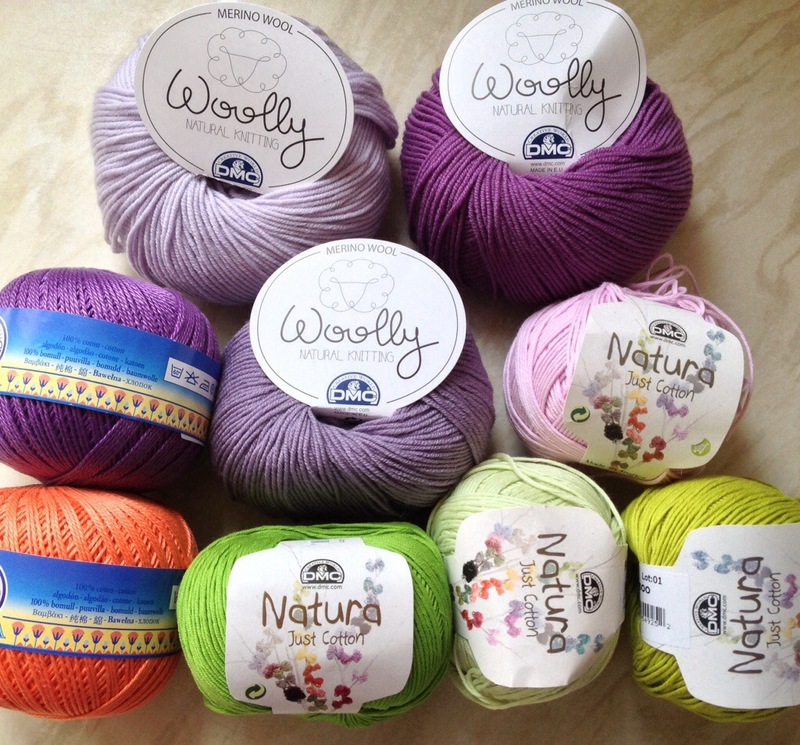 Now the hard decision of choosing what to make! Enjoy your fantastic freebies! Ooh yummy. It’s like a big bag of crafty sweets! !